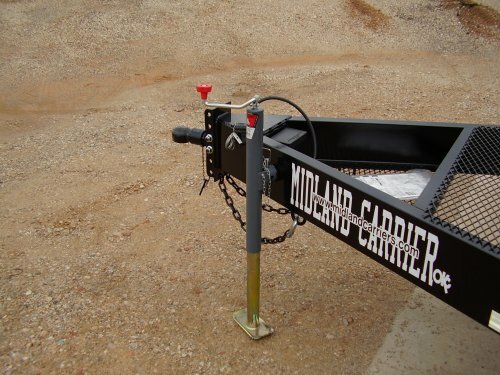 The Midland Carriers Model PL 5000 poly pipe retrieving trailer is the smaller of our two retrieving trailer options. 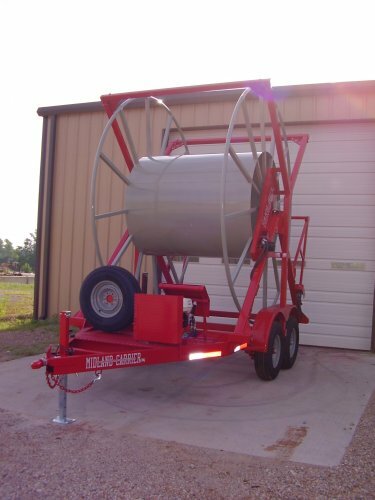 It is designed and manufactured to retrieve and transport more than 5,000' of 3" DR11 or 10,000' of 2" DR11 polyethylene pipe. 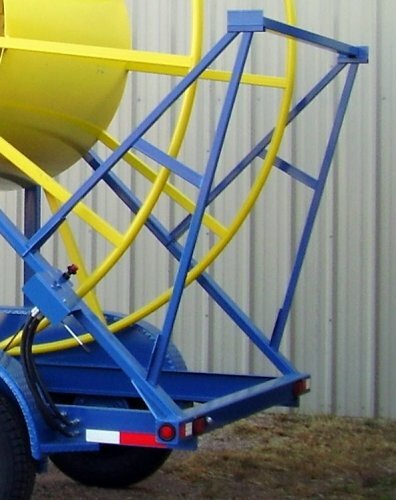 The PL 5000 is ideal for anyone handling mostly 2" DR11 poly pipe. 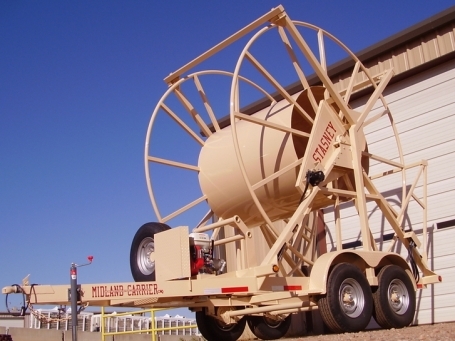 It is also excellent for 3" DR11 applications when 5,000' capacity is sufficient. 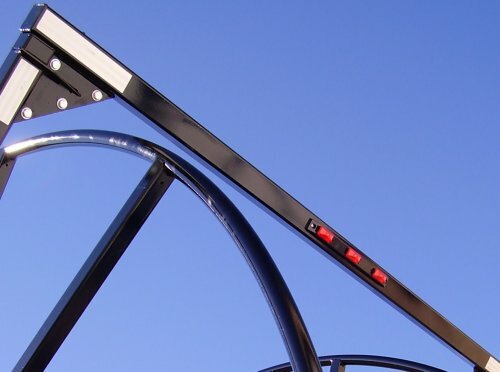 Right: PL 5000 with optional spare tire with mount and headache bar. 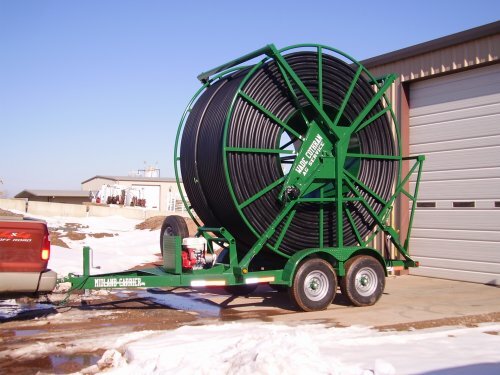 More than 5,000' of 3" DR11 or 10,000' of 2" DR11 polyethylene pipe. 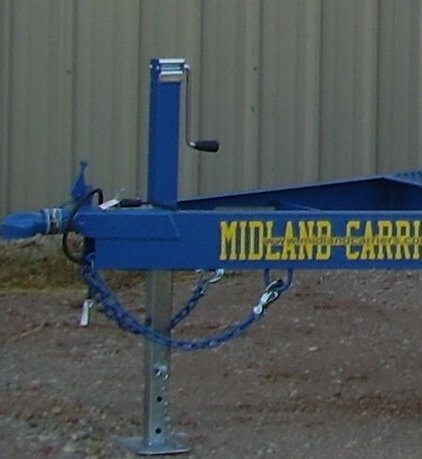 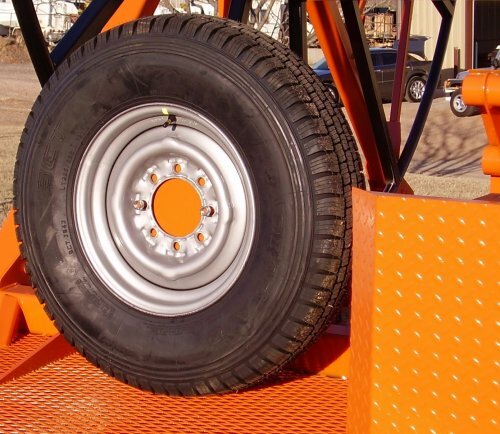 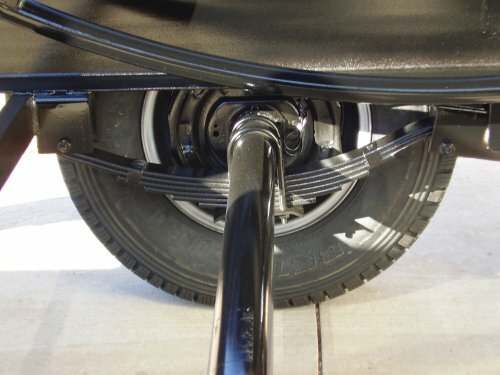 Five position adjustable coupler channel allows for variations in tow vehicle height when an adjustable hitch is not available. 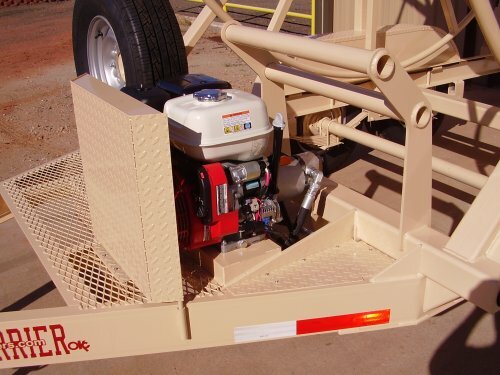 Available with a 2-5/16" Bulldog coupler or a 3" tow ring.